Our lives are a patchwork of happenings. Each event another patch in our quilt of life. Join me as I explore some of the "patches" of life. Cajun cooking, jazz music, Mardi Gras parties, with all that going for it Louisiana must have quilts. They do, quilt guilds across the state, at least one show each year, and they have their own block. The Louisiana quilt block is a patchwork block of flying geese set in a pin wheel design. According to Quilter’s Resource there are two major quilt shows in Louisiana, and I’ve missed both of them this year. That’s ok though, that just gives me more time to plan on visiting. The first show, presented by the North Louisiana Quilters Guild is a biannual event. That gives me a whole year to plan that visit. Their next show will be in February 2015. The second show, sponsored by The Gulf States Quilting Association, is an annual event. Held in Slidell Louisiana , one of the towns affected by Hurricane Katrina in 2005, they have a wide array of teachers, vendors and I’m sure quilts. This one is definitely going on my quilt tour list. Have you ever been to Louisiana? If so what was your favorite thing to do or see? Are you from Louisiana? Do you know of other quilt shows? Have you made a quilt using the Louisiana block? Share it in comments? Please join me on Facebook at Devoted to Quilting for more quilting fun. Joining the The A to Z Blogging Challenge which includes creative bloggers from all areas and across the globe. This entry was posted in A to Z and tagged atoz challenge, author, Blog, bloggers, devoted to quilting, diy, friends, Louisiana, Louisiana quilt block, Louisiana quilt shows, people, photos, pictures, quilt, quilt show, quilters, quilting, sewing, Slidell Louisiana, transportation, travel, vacation on April 14, 2014 by Nita. Last month I added another fabric swatch to my “quilt of life.” I’ve joined the Quilts of Valor quilters. For those of you who don’t know about this organization, they provide quilts to veterans, and those currently serving who have been in combat situations. It is a perfect way to show our gratitude to those who served for us. When I met up with Barbara Nessle, the Oklahoma state coordinator she loaned me the book, QUILTS FROM THE AMERICAN HOMEFRONT, by Rosemary Youngs. The book is a compilation of letters from or too those serving in World War II. Some of the letters are from loved ones here at home, while others were from, or to, girls they’d met before leaving the US. Each set of stories and quilt blocks has a short introduction to the letter writers. There are 121 letters, with accompanying original quilt blocks designed by Rosemary. It is easy to become absorbed in the letters and forget about the quilt blocks. Each letter gives us a glimpse into what life was like during those days. Once all the letters have been read, it’s time to look at the blocks. The book doesn’t contain any patterns or templates, however the author does give good instructions for making templates. However, using the templates limits the size of the blocks. If you want larger or smaller (why?) blocks you’re on your own. Except, can be made using traditional patterns. such as the one titled, Simply Beautiful. This block was designed for a letter that jumps from subject to subject. The block appears to be a variation of the Drunkard’s Path block. Except, instead of using just two fabrics, it’s designed to use four. Of course, the placement of the blocks is also different, giving it a completely new look. There are a few other blocks that look like they could be constructed using patterns from traditional blocks. In addition there are over 25 blocks that are simply squares, rectangles, and half-square triangles. I’m looking forward to making a few of these blocks once I get a few of my back-logged projects finished. And, of course, finish the Christmas sewing. Which means these blocks probably won’t be being made until after the new year. But, it does give me something to look forward to. How about you? Have you read any quilt related books recently? Do you prefer books have templates you can use, or do you prefer to make your own? 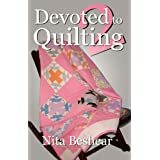 This entry was posted in Uncategorized and tagged author, book review, books, devoted to quilting, family, friends, Home, quilt, quilt blocks, travel on November 10, 2013 by Nita. Calling all quilters. The sun is shinning, the birds are singing, it’s too hot for sewing. If you’re ready to take a sewing break and read I have the perfect book for you. SONG OF THE STORM is book three in the Stone Trilogy by Mariam Kobras. With another captivating episode in the Jon and Naomi Stone saga, author Mariam Kobras has quilted her magic. SONG OF THE STORM, the last (maybe) book in the Stone Trilogy continues with the real-life characters, conflict, love and tragedy. 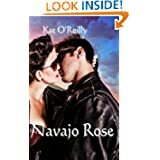 Life with a rock star isn’t easy, but hotel empire heiress, Naomi is determined to build a life together with her soul mate, rock star Jon Stone. Jon is just as determined. However, just as in our lives, their road to happiness is often rocky and the baggage both carry from the past, too many times, gets in their way. Good news, that another child is on the way leads to more insecurities for both of them. The book isn’t just about Naomi and Jon though. Their lives are intertwined with family and friends who also have issues. A subplot of the book revolves around one of those close friends, Jon’s manager Stan. Stan has long-held a one-sided love for Naomi. When he meets Maya, he believes he’s found Naomi’s replacement. Except, happiness isn’t always easily achieved. Maya has a maturity well beyond her young age. She realizes long before Sal does that their love is not made to last. Will Stan find a lasting love? Only readers of SONG OF THE STORM, and the author of course, will know. The reappearance of Naomi’s parents adds more tension to the story. They have little belief in their son-in-law, and often display concern for their only daughter’s safety, both physical and emotional. Given their background, and knowledge of the past, it’s easy to understand. Yet, this reader, wanted them to just love their daughter and accept her marriage. However, since that rarely happens in real life, it felt right that they continue to suspect their son-in-law and the marriage. In the middle of all of the tension, and emotional confusion we are reminded that family, friends, and love are what is truly important when the characters are forced to deal with the real-life tragedy and drama of the September 11 attack. Wherever you were, the emotions you felt that day will return as you are taken back to that unforgettable experience. However, Jon, Naomi, their family and friends remind us that hope and love are eternal. SONG OF THE STORM is a perfect read while you take a break from sewing and quilting. You can curl up on the couch under the air conditioning and continue the journey with Naomi and Jon. If you haven’t read book 1, THE DISTANT SHORE, and book 2, UNDER THE SAME SUN, no worries, this book stands alone. Although you WILL want to get book one and two, because you won’t be ready to let them go and you’ll want more time with them. WARNING!! Do not read this by the pool if you are also watching young children. You will be pulled into the story and forget where you are. Leaving children unsupervised around water is not recommended. However, if there are no children present, read and allow yourself to be whisked away. For more reviews, or to meet Mariam herself, check out her blog at where all the links for the blog hop can be found. This entry was posted in Blog Hop Party, book, book review, Devoted to Quilting and tagged author, Blog, bloggers, book, books, devoted to quilting, family, friends, Home, quilter, travel, vacation, writers, writing on July 23, 2013 by Nita. Writer? Quilter? What am I? Both, and a few other descriptions also fit. As most of you know, this blog struggles to find its identity. Is it about writing? Is it about quilting? Is it about my faith? In truth, it’s a little of all three, I just haven’t found the right formula for it yet. Today I’m sharing some great reads for you. Mother’s Day is coming, and what better gift than a book, something that will allow her to transport herself to another time, and/or place, relax and be entertained all while staying and taking care of her family. It’s the perfect gift. Devoted to Quilting (mine, imagine how it got on the list) = a collection of quilt stories. Each story includes a Bible verse and prayer, making it a perfect devotional. It is also just a fun read, and educational since each story also includes a quilting/sewing tip. You can see the picture of it on my side bar. Devoted to Quilting 2 (mine again, surprise, surprise) – More quilt stories. This one has more quilts from friends and fewer family quilts. Otherwise it’s much like the first Devoted to Quilting. Romance, The Spice of Life. Not mine, but I do have a story in it. This is an anthology, a collection of short stories. Like a good meal, life needs a little spice to make it amazing, and romance is the perfect spice. 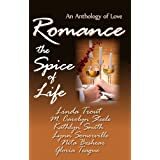 There are six genres included, romantic suspense, nostalgic romance, inspiration romance, paranormal romance, historical romance (ahem), and a contemporary romance. The mother in your life is sure to have a favorite genre represented, and she’ll love all the stories. 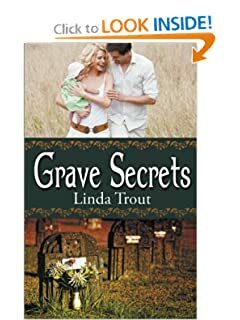 Grave Secrets, by Linda Trout. A baby disappears. A husband murdered. Sara Adams searches frantically for her infant daughter and must turn to insurance investigator Morgan Daniels. Except, Daniels is sure Sara murdered her husband. Will helping Sara find her daughter also help him prove she murdered her husband? Will helping her prove her innocence and uncover the real killer? On top of all that the man is devastatingly handsome. Sarah must be careful. 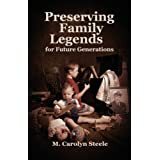 Preserving Family Legends, M. Carolyn Steele. There was a time when family lore was passed down from one generation to the next. It was a form of entertainment as well as education for the younger family members. However, life has changed, and many of those family legends are left gathering dust in the attic of life. Carolyn’s books helps us not only find those stories, but write them in an entertaining fashion for our children and grandchildren. It must be entertaining, both for the reader and the writer, after all who wants to write, much less read, a laundry list of marriages, births, divorces, and death? 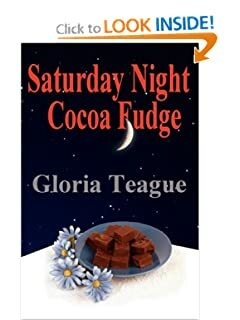 Saturday Night Cocoa Fudge, Gloria Teague. A nostalgic look of growing up in the fifties in Tennessee. Although, the setting could of been anywhere in the United States, the stories revolve more around the people and the experiences of one little girl between four and five years old. If you grew up in the fifties you’ll love this book for the memories it invokes. Because, really, who hasn’t done the “switch dance?” If you weren’t lucky enough to grow up in the fifties you’ll love this look back at a different time and way of life. Each story stands alone, and the book can be read in snatches of time if necessary. However, Gloria weaves such entertaining, and exciting tales that you’ll find yourself flipping to the next story rather than putting the book down. “Antiquities poachers send Native American arts’ enthusiast Paige Douglas the Navajo Rose, a stolen tribal artifact. Can she trust Ricky, her high school crush, to help her return it? For that matter, can she trust herself around him? 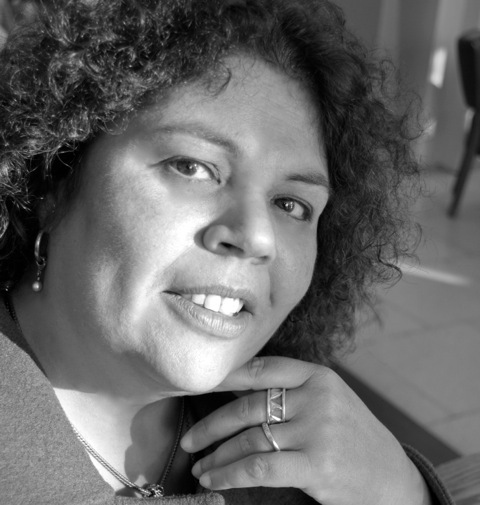 This entry was posted in Devoted to Quilting, Uncategorized, writing and tagged author, book, books, family, friends, historical romance, Home, little spice, morgan daniels, paranormal romance, sewing tip, spice of life, writers on May 6, 2013 by Nita. How do you make a Pinwheel block? 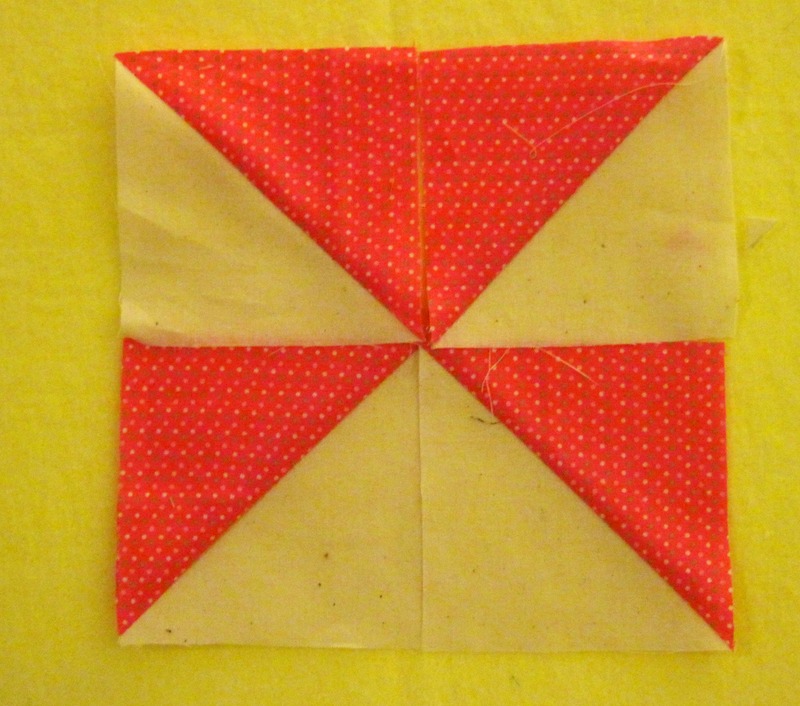 I don’t know about other quilters, but I use the half-square triangle blocks together to make the Pinwheel. Half-Square triangles. Using a dark and light fabric give a stronger effect. Four triangles from two seams, efficient. Once the triangle blocks are made, pressed, and squared it’s a matter of laying them out. The seams need to all meet in the middle. 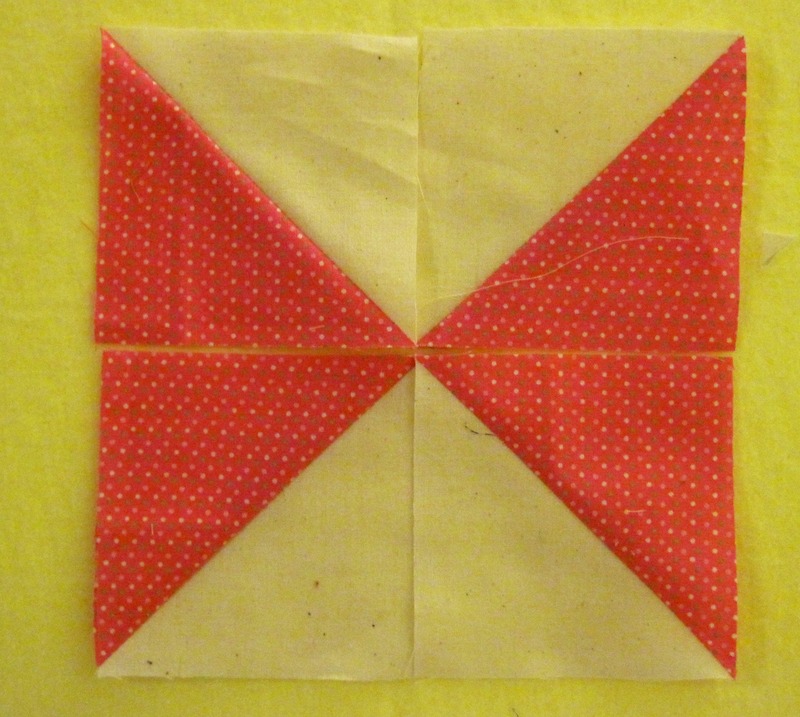 However, the individual blocks must be turned right, or the Pinwheel doesn’t appear. We can get other cool designs, like the hour-glass above, or the spinning top below. Seams meeting in the middle. Not the Pinwheel though. Next. 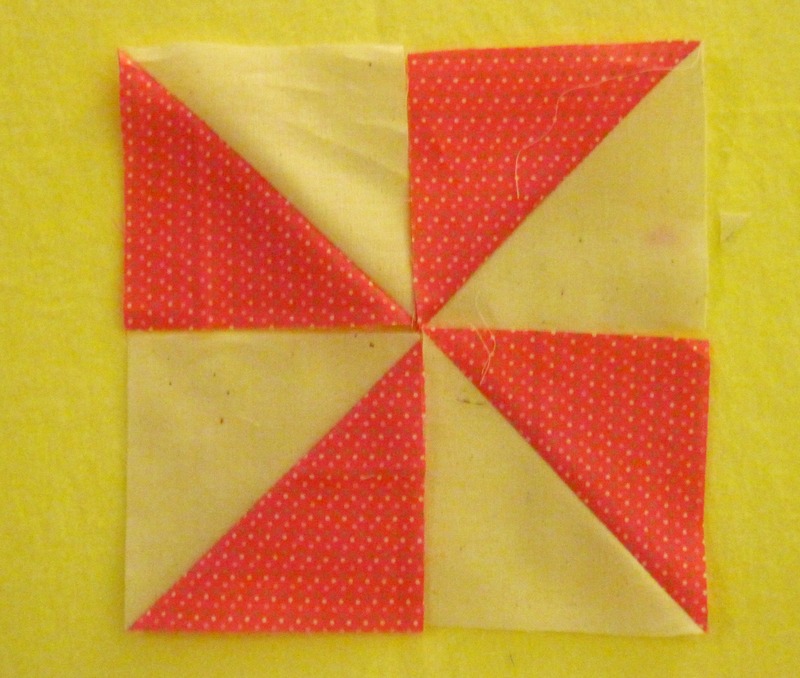 To get the Pinwheel the fabrics need to alternate, light, dark, around the square. It looks like a Pinwheel. If the blades look like they’re going backwards, turn each block around so the dark triangles replace the light, and the light replace the dark. There you have it, a Pinwheel block with the blades going in the right direction. I hope this helps if you’re having trouble making a pinwheel block. 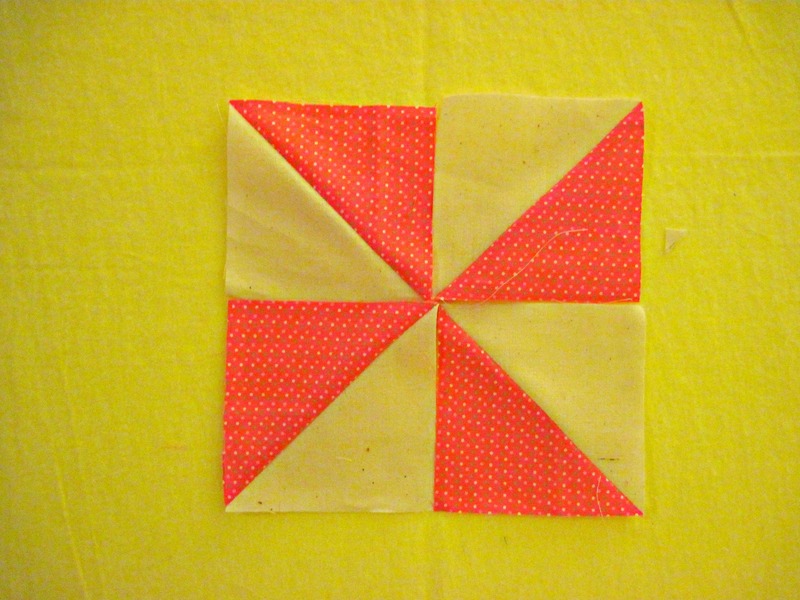 KayKauffman, an author, fellow blogger at Suddenly TheyAll Died, and quilter requested information on putting a Pinwheel block together. Kay, I hope this helps. She suggested this post for the P day of the A to Z challenge. Except, P is the 16th letter of the alphabet. Who wants to wait that long? Besides, Sundays don’t have a letter and I needed a post for today. This is the easy-peasy way I make Pinwheels, do you have another way? Would love to see some of your Pinwheel blocks. You can post them, or a link, in the comments. Linking up with the Ultimate Blog Challenge. 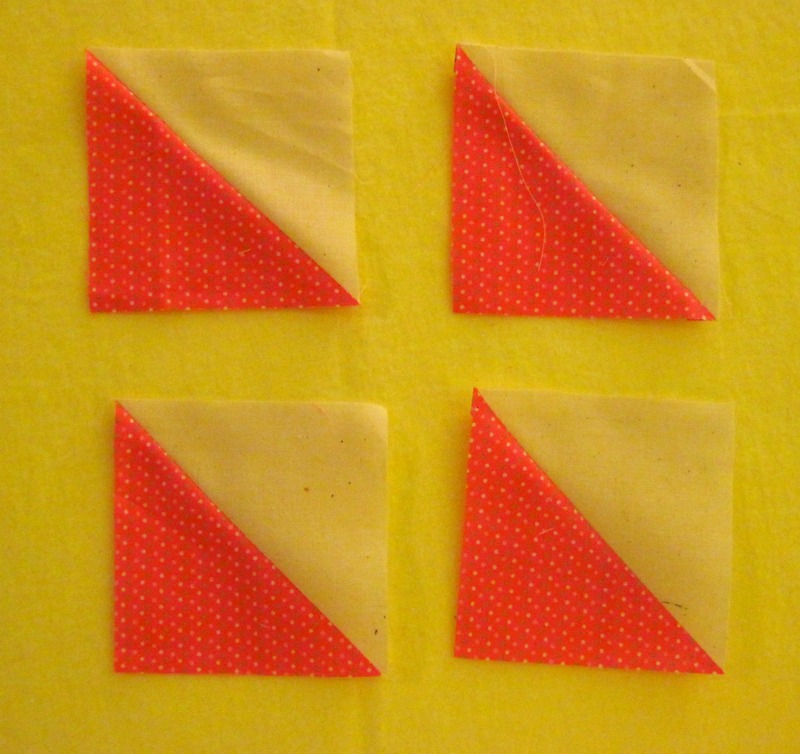 This entry was posted in Devoted to Quilting, quilt, Tutotorial and tagged author, Blog, bloggers, dark triangles, devoted to quilting, light fabric, quilt, quilter, quilting, square triangles, writers on April 7, 2013 by Nita. A blog challenge has been delivered and I have accepted it. Two, in fact. First, is the blogging A to Z. Bloggers are challenged to post on their blogs every day in April and those post must follow the alphabet. Every post will be about something that starts with that day’s letter. Which means Monday, April 1, this blog will be about applique. A is for applique. So it will go, every day, for the entire month. Well, every day except Sundays. With Sundays out of the lineup there are 26 days in April. Coincidentally, there are 26 letters in the American alphabet. Pretty handy. That’s challenge one, to blog every Monday through Saturday following the alphabet. Challenge two is from The Ultimate Blog Challenge. That goal is to simply post every day. This time every day includes Sundays. The goal for April is to post every day. Every. Single. Day. Stay tuned for Monday, the day of Applique, and the first day of a month of daily posts. Have you taken any blog or life challenges lately? Did you succeed? Did they help you reach your goal? This entry was posted in challenges, Devoted to Quilting, writing and tagged author, Blog, bloggers, books, devoted to quilting, friends, quilt, writers, writing on March 31, 2013 by Nita. On Day 8 I’m thankful for computers, all computers. They have become so much a way of our life we often forget about them. Us mere mortals, hospitals, schools, law enforcement, airlines, travel agencies, and city halls, are among the few entities using computers. Of course there are small areas where computers aren’t commonplace, but I’m thankful for all of the ways computers have enriched our lives. Recently my cousin Steve was in the hospital and his entire stay was computerized. Every time a nurse or tech entered the room to attend to Steven, or give him a procedure they’d first check his computer, instead of reading handwriting in a chart. Since some of the handwriting of medical staff is often illegible, this system of typing information into the computer seems to be a great improvement. Watching the procedure each time gave me comfort, I knew Steven was receiving the correct care. Steven’s modern medical care reminded me of my cousin’s backwoods medical care. It wasn’t really backwoods, she received the best care available at the time. The time though, was the middle of the last century. Despite her rudimentary care, she survived and thrived. Today she is a healthy, fun adult. The only lasting result of her computer-less hospital stay was the loss of her sight. She says that’s a small price to pay for having a good life. We are both grateful that babies today have a better chance of surviving and thriving with no lasting effects of their lengthy hospital stay, thanks to computers. In fact, there are babies who faced near certain death before the computerized care. Technology has come a long way enriching our lives. Computers are part of that progress. The writer in me however, viewed the almost complete dependence on the computers from as a plot line in a story or two. I could only imagine what a writer of horror, suspense, science fiction, and the paranormal could do with a computer (working or not) in a hospital situation. Since I don’t write in those genres, I don’t even dabble, I’ll leave all those possible ideas to others better able to craft such a story. However, thanks to the computer, those writers another possible, plausible, plot line for their stories. This entry was posted in Devoted to Quilting, family, Gratitude and tagged author, blogging, books, devoted to quilting, family, friends, technology, writers, writing on November 8, 2012 by Nita.